We’ve covered a great deal of ground so far. As you have noticed, beekeeping is a wonderfully rich and fascinating hobby for many. There’s a lot to learn but it’s worth every second. With a little diligence and attention to detail, beekeeping gives back so much more than you put in. But it is also fair to say that that the new beekeeper may be slightly overwhelmed. We all face this when we start. From learning about bees to setting up your first beehive (or preferably beehives!) and to the challenge of keeping your bees healthy, there is indeed a good deal to take in. Some questions are asked by virtually all beekeepers, though. Here we list some of the more common questions new beekeepers ask – Frequently Asked Questions, indeed. Which type of hive should I consider? 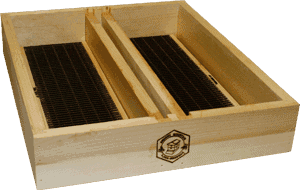 Without going off the beaten track too much, which we wouldn’t recommend for a new beekeeper, you have three choices of hive – the Langstroth, the Top Bar and the Warre. Right off the bat, we will say that all three are very effective, proven over many years (hundreds, in fact!) and will serve you well. So this isn’t a question of which type will work, but rather which type serves your needs best. We can’t answer that directly without knowing a little more about your objectives and situations. But we can lend some general advice. If you are focused long term on enjoying lots of honey then the Langstroth is a great choice, since it has the highest capacity and can easily be expanded. It’s also a traditional hive design, supported by many manufacturers and suppliers. In some regards, it might be considered the safest of choices. If you are fascinated by the idea of natural beekeeping then the foundationless Top Bar or Warre hives will be attractive, although it’s perfectly possible to use foundationless frames with Langstroth too. You may also be interested that the Warre was designed to mirror what bees prefer in nature. If you are not as mobile or agile as you once were, no big deal. The Top Bar hive will “serve” your frames to you at a nice convenient height. If lifting heavy weights is not your thing, then a Top Bar or Warre are good options (with the Top Bar being the favorite, in this context) since you won’t be lifting the larger boxes of the Langstroth. Should I use medium or deep frames? If you are using a Langstroth, you will initially choose medium or deep boxes. This is just a trade off and either work just great. Although all sorts of combinations exist, two common configurations for hives are two deeps or three mediums. You can mix and match the depth of boxes, though, if you want. The deep box can obviously hold considerably more honey (or brood), but that comes at the cost of more weight to lift at inspection time. It’s really down to you and you are not making a mistake with either. It’s just a question of weight vs. capacity. What about frames? 8 or 10? This is essentially the same question – a little extra capacity vs. less weight. The 10 frame option is a little more common and can hold a fair bit more honey, but a fully-laden 10-frame honey superis a heavy thing to lift! The 8 frame Langstroth box is effective, too, but with a little less weight to lift. That said, when full with honey you are still enjoying a major bounty! In summary, at the light/small end you can go with medium boxes with 8 frames and at the heavy/large end you can use deep boxes with 10 frames. And you can choose anything in between (deeps with 8 frames, for example). It’s really down to personal preference. But keep in mind that you can’t mix boxes of different widths, so if you go with a Langstroth you will have either 8 or 10 boxes in any one hive. Need? Just one. How many SHOULD you have? At least two. When you first kick off your beekeeping life, it is fair to say there’s a little expense ahead. Thankfully many of these – the smoker, the hive tool and so on – are one-off costs you will use with any hive (see below). Purchasing two hives does add a little more, but the utility you gain in doing so is well justified. The new beekeeper won’t really have a good sense yet of a strong vs, weak hive. Having two hives (we recommend of the same type, initially) allows comparisons to be made easily, which can lead to earlier detection of issue. Additionally, in some scenarios a problem with a weaker colony can be addressed by moving frames from a stronger one. Having two or more hives significantly improves your understanding of bees in that first year. Should I practice natural beekeeping? 100% up to you! Many do, many don’t. Most beekeepers prefer to do so, if they can. But there are also the realities and some very practical issues to be considered. There are many facets to natural beekeeping, but let’s touch on a couple to illustrate the choices at play. Natural beekeeping implies foundationless beekeeping. While the Warre and Top Bar hives are designed to be foundationless, many Langstroth beekeepers use foundation. One of the quickest ways for a new beekeeper to become discouraged is to find large chunks of comb – with bees and honey – falling off the frames when carrying out an inspection. Natural comb is initially very fragile and so many a beekeeper has fallen foul to this. This doesn’t mean foundationless beekeeping is bad, of course. It merely means that you should educate yourself before going down that path. If you understand the practical issues related to foundationless beekeeping then go for it! Another topic is major debate is whether to go treatment-free. This will generate heated discussions among beekeepers. If you decide to go treatment-free, then make sure you are educated about your choice and the risks you take. There are many strategic and tactical decisions you can take here, but it’s a long term perspective that you need. If you expect to just throw a package of bees in a hive, not treat them for anything (even when you see issues in the hive) and expect everything to be rosy and your bees to survive regardless – well, you are kidding yourself. Beekeepers who practice treatment-free beekeeping consider that they do all of beekeeping a favor, by raising bees that are tolerant of many risks. But without an informed approach they can also be facilitating the spread of bees with disease and mites. It takes time and patience, so don’t be hoodwinked into thinking that bees in a hive with no treatments or medications is a simple path to robust bees! Read and learn. There are two common choices for the wood used for your hive – pine or cedar. Pine is the traditional choice. It is strong, offers reasonable longevity and is a proven option. To extend that longevity, it is quite common to paint pine hives before they are installed in place. That gives you some nice choices as to the aesthetics but also means you need to wait a little longer (and do some work) when your hive arrives. Cedar is generally considered a premium wood, especially when obtained from a sustainable wood source. Compared to pine, it is lighter (think about the weight of honey and add the weight of the box), stronger and lasts longer. Although not strictly necessary, many coat with a little pure tung oil, which offers a little extra protection and brings out the beautiful rich colors of the cedar. But the bottom line is that a Western Red Cedar beehive can be placed into service with with no painting necessary. Although somewhat subjective, most consider cedar to be aesthetically more pleasing than pine. When ordering a hive, consider the environment. Many Premium hives from PerfectBee are made with Forest Stewardship Council (FSC)-certified, sustainable Western Red Cedar or Sugar Pine. Here’s a video of some unattractive chap discussing the benefits of cedar hives. Where should I get my bees? You have three main options – a package, a nuc or a swarm. If you are a first-time beekeeper, we’ll propose one of those might be a step too far. Leave the capturing of a swarm till a little later in your beekeeping “career”. You have a lot to learn – all of it fun! – but we propose you go with a way of sourcing your first bees where things are a little more under your control. That means a package or a nuc. Both of these work just fine. 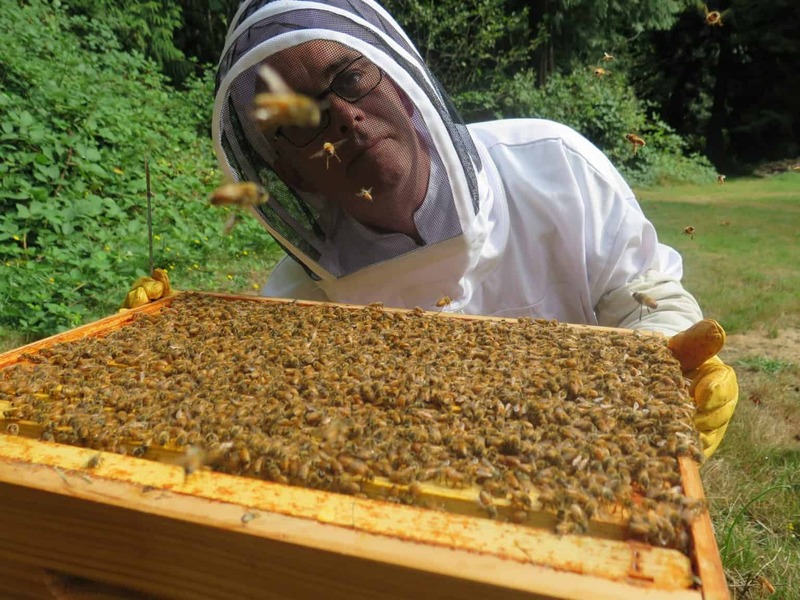 If you are using Top Bar or Warre hives then a nuc is not the way to go, though there are some gymnastics you can do to make it work – but again, keep it simple initially. But a nuc is an excellent choice for a first-time Langstroth beekeeper. A package works well for all types of hives. Not Africanized! Seriously, you won’t want so-called “killer bees” (even in the south, where they exist) so we can take that off the table. But there are a number of good choices, depending on your needs. Italian, Russian and Corniolan are common choices, but check out the different races of bees for the full story. When should I order my bees? Early! If you are reading this in January and you want to have a good chance of a package of bees in the spring, now is the time to order. Call up a local bee supplier, ask about availability and put down a deposit. Leave it much later and you could be out of luck. Of course, later in the season choices still exist. Nucs may be available and there is sometimes the chance of getting on a waiting list for a swarm. But whatever your plans and your timetable, don’t assume you can just pick up the phone in the spring and immediately buy your bees! We advocate keeping it simple! Beekeeping is awash with all sorts of awesome equipment and tools and it’s all good. But to get going, you need just your hive, a smoker, a hive tool and a bee brush. A great way to get started is with a starter kit. These are available as equipment and clothing packages or, for further savings, with the hive too. Both save you money over buying everything individually and provide you with the base set of tools you will use for all your hives. Many beekeepers start with a starter kit with a hive, equipment and clothing and then an additional purchase of a hive (as the second hive). Do I really need that protective clothing? OK, we’ll qualify that somewhat. First, don’t be overly influenced by all those YouTube videos of beekeepers who approach their hives in shorts and a T shirt! If they want to go down that path, then bully for them. But they are not new beekeepers. They have paid the price in stings and decided that they are OK without protection. As a new beekeeper, we strongly suggest you focus on your bees and do what you can to not be stressed or worried about stings. That means proper protective clothing. You may choose various combinations from a jacket and veil to a full bee suit PerfectBee customers purchase these in roughly equal numbers – just a matter of preference for the individual. Down the road you will find your balance. But one thing we suggest you always wear is a veil. Even experienced beekeepers can suffer badly if they are stung in the wrong place on the face. And if any beekeeper tells you they can “tell” when bees are likely to sting – sorry, but they are just plain wrong! Just play it safe and always wear a veil, whether a standalone version or one that comes with your jacket or bee suit. Finally, for reasons of comfort, the majority of the jackets and bee suits sold today are ventilated, which help significantly on a hot summer day. It’s a real shame to cut an inspection short because you are feeling the heat and ventilated fabrics do a great job keeping the stings out and letting the breeze in. Where should I place my hive? Low wind, a fair bit of sun, away from people and away from obvious pests. Those are the basics, but a good start. What other things do I need to check before starting? Just to be safe, check the local jurisdiction to ensure beekeeping is legal in your location, especially if you are in an urban environment. Then check out how the hive works with the neighbors. When should I feed my bees? There are a limited number of times when you need to feed your bees. Once they are established, the chances are they will have all they need from foraging. Indeed, they may well send you that signal. If you feed them and they find themselves perfectly able to bring enough in from foraging, then they will simply start ignoring your food, since the natural stuff is infinitely preferable to the artificial offerings of sugar syrup or the like. The most justified time to feed bees is immediately after you install a package of bees. They start with zero resources – nothing aside from a queen and 10,000 buddies. No honey and no pollen. They will soon start gathering and building pollen and honey resources but they may be in big trouble if left on their own at this time. Therefore, this is one time when it’s very important to offer some “starter” food, generally in the form of sugar syrup in a 1:1 ratio. What sort of feeder is best? There are many types of feeders available, each with their advantages. Many like the flexibility and convenience of the Ultimate In-Hive Feeder, which is very easy to remove and fill. The one word of warning would be associated with the use of an Entrance Feeder. These do have the advantage that their level can be easily checked, without having to disturb the bees, since the bottle of sugar syrup is on the outside of the hive. However, that is also a potential weakness, since if there is a threat of robbers. What things should I check at each inspection? Is there evidence of an active and productive queen – you do not need to physically see the queen every time? Are there signs that your bees may be planning to swarm? Is the capacity of the hive appropriate, in terms of the boxes you have added? Are there any unusual or worrying signs, particularly related to pests or mites? Are you leaving the hive in an orderly, clean state? Should I worry about swarms? Yes, you should. Be sure to know how to recognize and avoid the possibility of swarming. 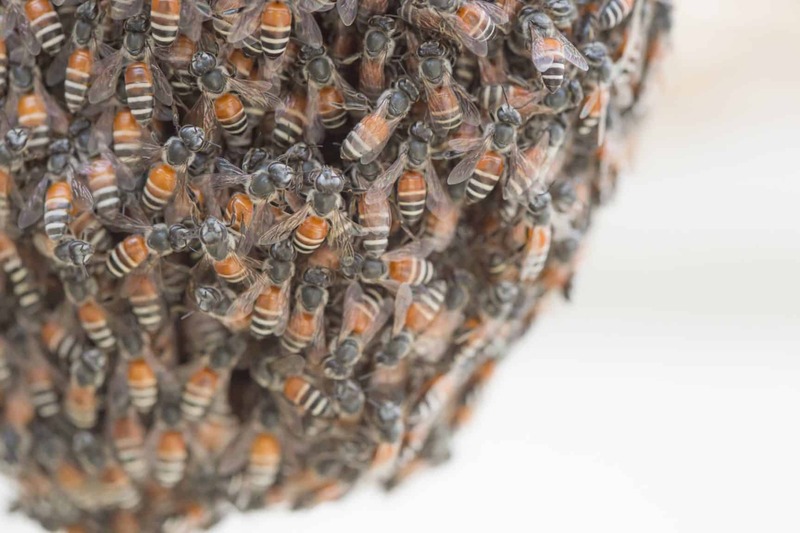 The fact that a colony is about to swarm is generally an indication that it is healthy and growing. But as beekeepers, we don’t want to see our bees swarm. In fact, the potential for a swarm is an opportunity to start another hive, through a split. The impact of a swarm varies depending on the location bit in urban situations, for example, it behooves the beekeeper to take all steps to avoid them. A swarm in the wrong place at the wrong times is one of the most effective ways to drum up anti-bee sentiment! How much honey should I expect in the first year? As we have said before, we like to keep the guidance here simple and straightforward. Yes, you will find many a beekeeper who tells you (often loudly) that he or she has taken many jars of beautiful honey from first-year bees. Good for that beekeeper, but…. A true statement of success isn’t merely how much honey the beekeeper has gathered. Every beekeeper – experienced or new – can take honey from a first-year beehive. That’s the easy (and dare we say, selfish) part. No, the REAL measure of success is not measured in jars of honey. It is whether your bees come through the winter with the honey reserves you left them. A beekeeper who takes honey from a hive and then fails to see bees in the spring really isn’t achieving anything significant. Just some honey, which your local supermarket sells…without all the work! On a more serious note, we suggest that from day one you just accept that the first year is ALL about your bees establishing themselves. Is honey really THAT important to you? Just let your bees use it to themselves. After all, they are working far, far harder for it than you ever will! I took about 120# of honey from a new hive last year. I left 2 deep brood boxes full of honey. An inspection in the middle of January reviled a healthy cluster that was not eating the heavy syrup provided for them in the hive. I was not expecting to harvest any honey last fall but my purchased nuc did extremely well.